First can I start with wishing you all a very Happy New Year. :-) Last year was a busy one for us, and we continued to review something new every single day and we very much intend to keep this up in 2016 too! I thought I’d kick off the new year with an Easter product… I kid you not. I know most of you are probably still getting over the festivities of Christmas and New Year, but the shops are starting to stock up on items for the next big season. Oh well, eggs represent new beginnings, so lets think of 2016 in that way. I like the theming of Golden Eggs for this product, they do look very pretty. 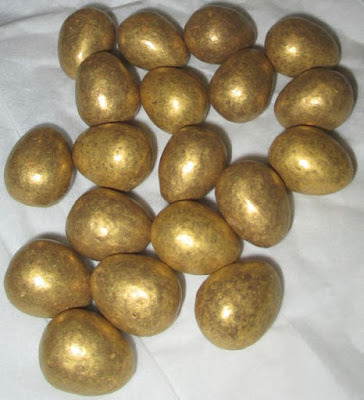 I was initially worried that these eggs might look like they are covered in edible foil, but the decoration is spot on. Shiny and metallic, but still looks like an edible coating. 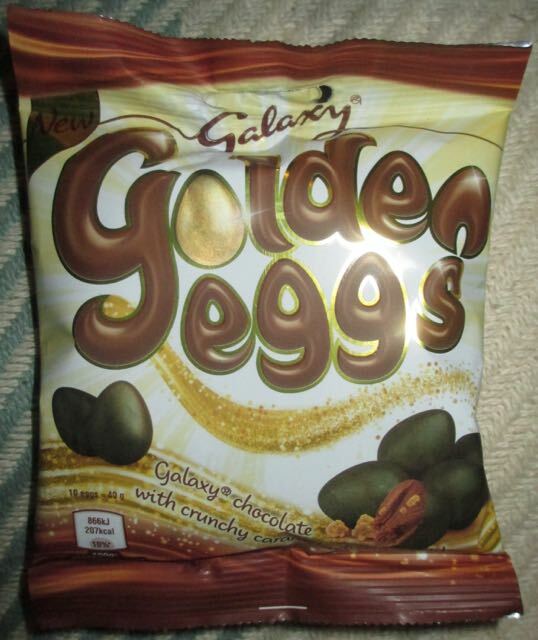 The egg is mostly solid Galaxy chocolate but there are also crunchy caramel pieces inside too. I like Galaxy chocolate, it has a thick melt and tastes so very creamy, I think I would have it as my soothing chocolate, one to appreciate. The caramel bits add a lovely crunch, and golden flavour, sweet and sugary. 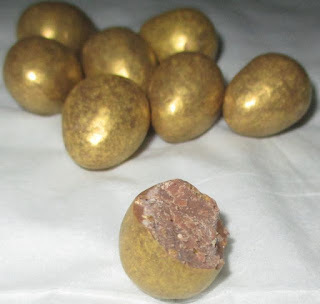 These egg are very easy to eat, and the novelty of the gold covering makes me smile, so it is definitely something I’ll be picking up again on the run up to Easter. For now though; HAPPY 2016 EVERYONE!!! !